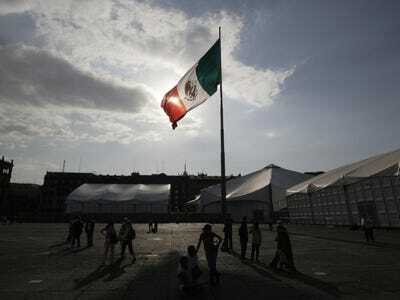 Mexico’s economy is one of the bright spots in Latin America right now, but recent forecasts continue to revise down just how much it is growing. Growth estimates for this year continue to decrease. The latest number is 2.3%, reported by the Wall Street Journal today, down from a 2.5% forecast in September. At the start of the year, the government had forecasted 3.9% growth, according to Reuters, but then experienced a pretty terrible first half of the year. Growth has been moderately good in the third quarter, but not great. It should be said that even 2% growth is better than a lot of countries in Central and South America. At last week’s meeting, the Banco de Mexico announced interest rates would remain unchanged at 3%, citing new signs of weakness in the global economy.